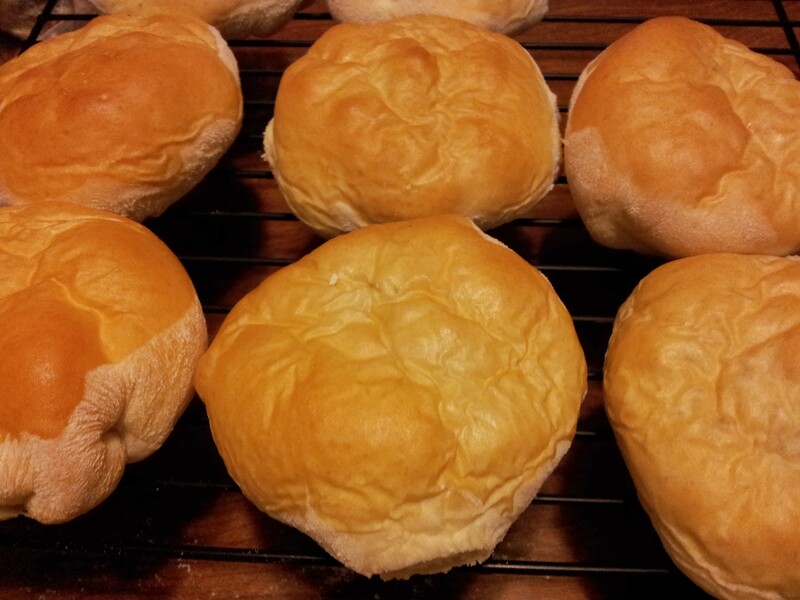 Cabbage Burgers….for the cold winter days. These burgers are easy to make. Salt, plenty of Pepper, a little Cayenne pepper, little powdered ginger. Don’t be afraid of making it enjoyable for your taste buds. The bread will take away some of the heat of the spices. 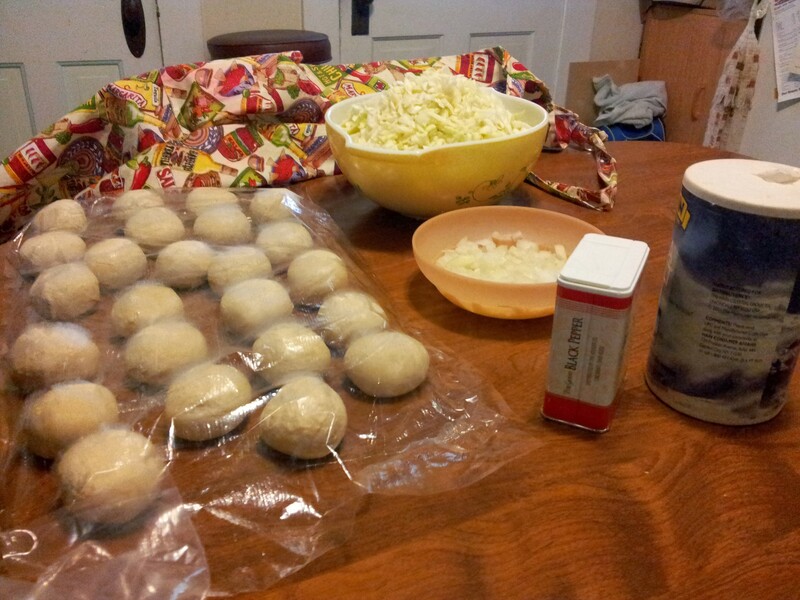 Roll the bread dough out put about 2 tablespoons of the mix or more and close the bread. Bake at 350 until golden brown. They freeze well, and can be popped into the microwave to warm up.